BACK ON THE MARKET! Welcome to the beautiful coastal community of Sea Harbour where your waterfront dream home awaits! 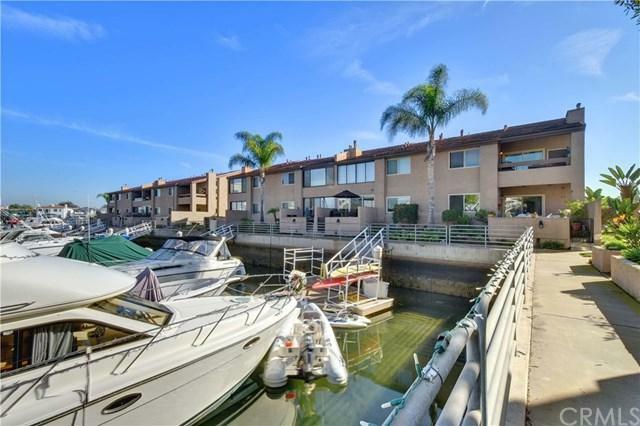 And YES, this ground level home includes your VERY OWN PRIVATE BOAT DOCK directly in front of your patio! This fully furnished home has been meticulously cared for and features beautiful tile floors throughout along with gorgeous built-ins and a luxurious custom mantel and fireplace. The kitchen has been upgraded with granite counter tops and new appliances along with an abundance of stor BACK ON THE MARKET! 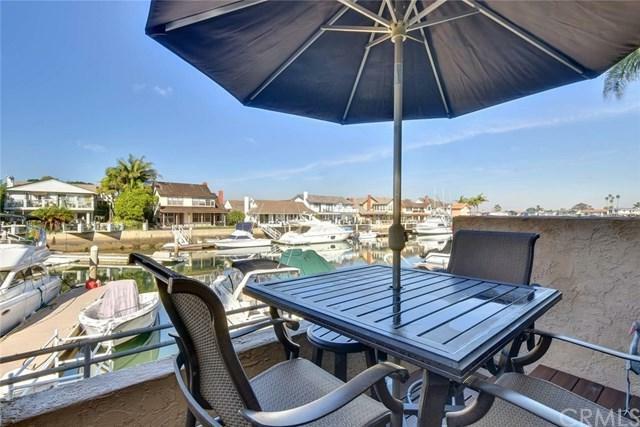 Welcome to the beautiful coastal community of Sea Harbour where your waterfront dream home awaits! 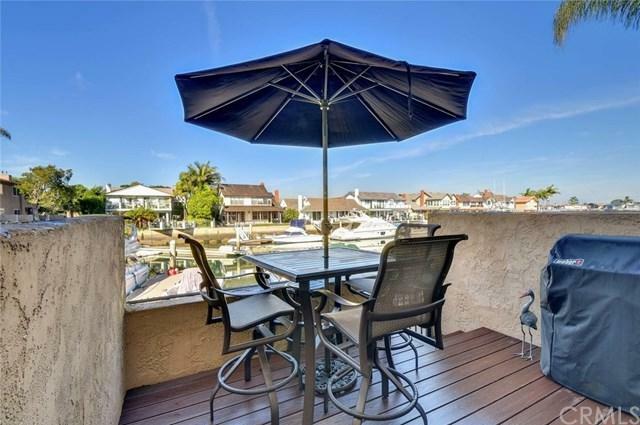 And YES, this ground level home includes your VERY OWN PRIVATE BOAT DOCK directly in front of your patio! This fully furnished home has been meticulously cared for and features beautiful tile floors throughout along with gorgeous built-ins and a luxurious custom mantel and fireplace. The kitchen has been upgraded with granite counter tops and new appliances along with an abundance of storage and a marvelous custom-built bar in the dining area! The large bedroom also has water views and features a sizable walk-in closet lined with cedar. Whether this is your full-time residence or your vacation get away, youÃƒÂ¢Ã¢â€šÂ¬Ã¢â€žÂ¢ll fall in love with the stunning views of the harbour surrounded by multi-million dollar homes along with all the resort like amenities this community has to offer from magnificent greenbelts, trees, tennis courts, pools, spa, gym and clubhouse. 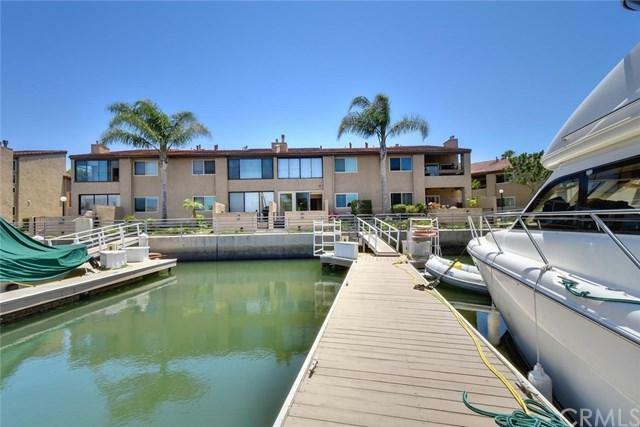 Wonderful opportunity to live in this unique Huntington Harbour location just a short walk to great restaurants, entertainment, yacht club, wetlands hiking trails, kayaking and of course the beach!